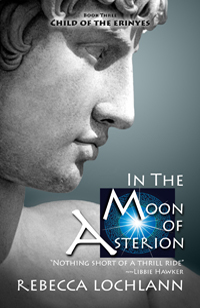 In the Moon of Asterion is RELEASED! A milestone and personal goal has been reached at last! 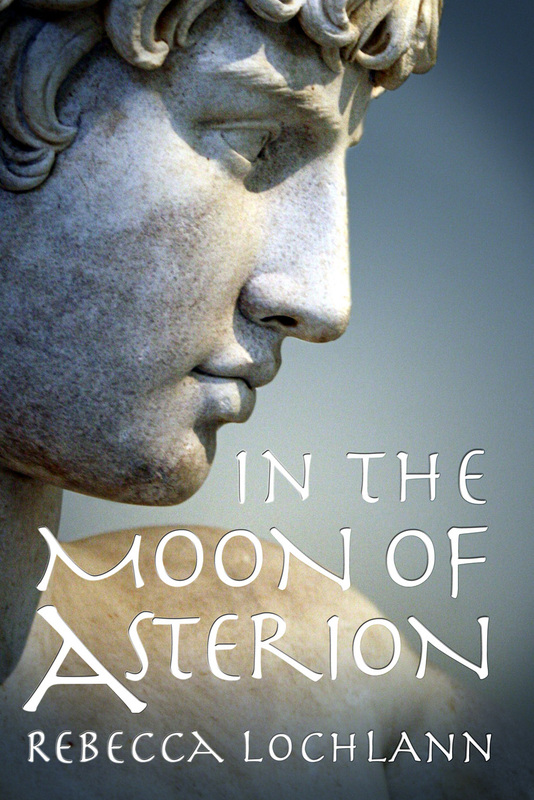 I’m so happy to announce the digital release of Book Three, In the Moon of Asterion! This book concludes The Bronze Age segment of the series, and kicks off the next set. 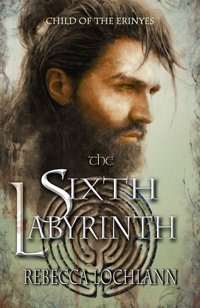 I’ll be retreating into my lonely writing garret as I work hard to get Book Four, The Sixth Labyrinth, polished and ready to go. As you might have read here on the site, The Sixth Labyrinth takes a giant leap forward in time and space, to 1870s Scotland. How is it that we can still follow the lives of Aridela, Chrysaleon, Menoetius, and their followers in such a different place and time? Well, you’ll have to read on to find out. 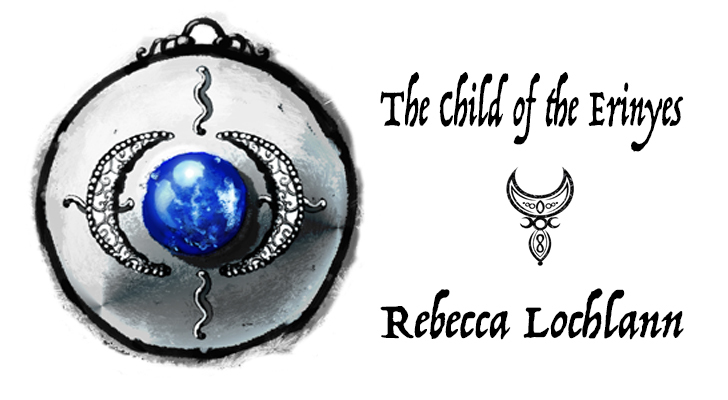 An excerpt of the first three chapters has been included at the end of Asterion. Aridela remembered how the guards had struggled to open the heavy oak door, but for her, it moved effortlessly, at the touch of a finger. 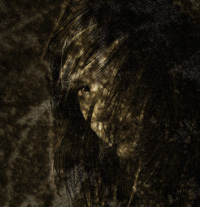 “Asterion,” she whispered. The chamber was not so well lit as last time. There was but one lamp now, giving off a faint glow that only intensified the weight of darkness. Again, she heard rustling beyond her vision. This time, instead of fear, she felt a thrill of anticipation. The Beast loped into the circle of light. Incredibly huge, he smelled pungent, musky, like the wild aurochs they captured for the ring. He nuzzled the palm of her hand. 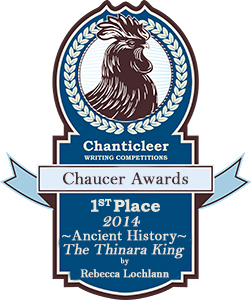 She stroked his face, clasped his heavy horns, and kissed his forehead, where a gold rosette glowed. He prodded her with his snout until he had her trapped against the wall of the chamber. There he kept her, between his implacable enormous head and the immovable wall, snuffling at her stomach as though he could smell the baby. He backed up, snorting, swinging his head from side to side. His eyes were white-rimmed; she sensed the danger and covered her abdomen, afraid, but then divine Athene transformed him, and he who pressed against her was a man. Anything could happen in the place of dreams, where no boundaries existed. There is a beast in the labyrinth… a monster. 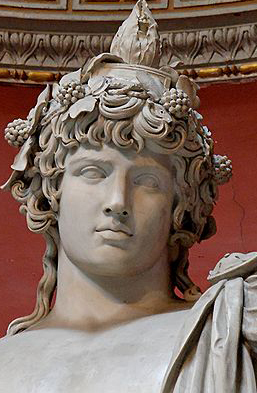 The people say he is both man and bull; they call him Asterion. Of all Crete’s citizens, only two dare enter his lair. One bears his child. The other sees the Goddess in his eyes. 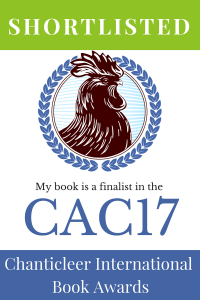 Terrifying yet compelling, the beast offers Crete’s only hope for redemption. 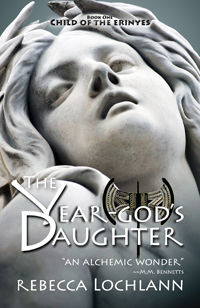 In the third installment of The Child of the Erinyes, Queen Aridela sets out to rebuild her devastated country. 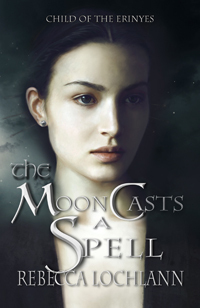 Will she sacrifice her beloved consort as ancient tradition demands? 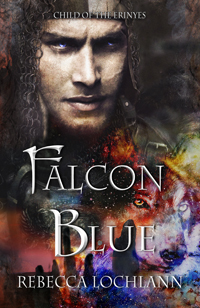 Chrysaleon seeks a way to escape his vow of death and subjugate his adopted land. 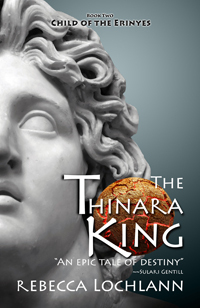 Can he thwart the Goddess and survive? Menoetius must offer his allegiance. Who will win his loyalty? His brother, or the woman he loves? 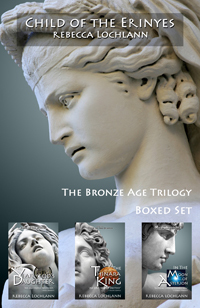 The choices these three make have unforeseen, horrific consequences, changing the course of history and propelling Goddess Athene’s triad toward fulfillment of a bold, far-reaching design.